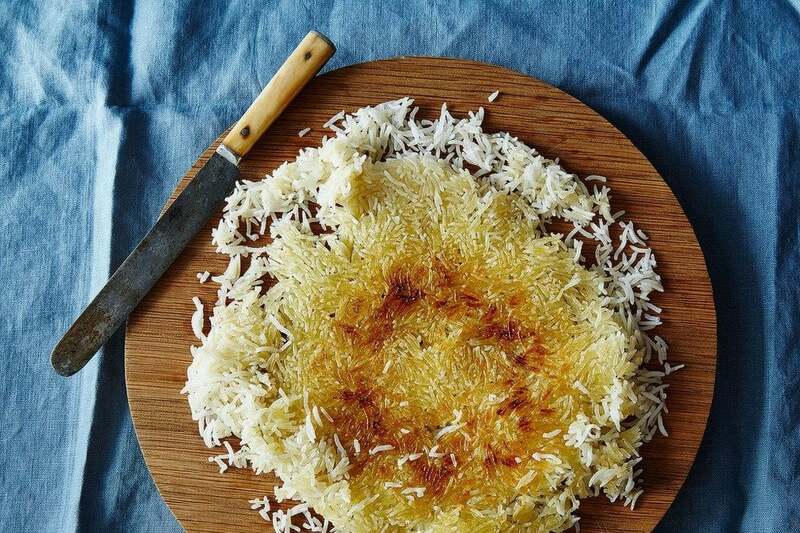 Tahdig is the part of rice or pilaf at the bottom of the dish which turns red or brown and becomes hardened and scorched due to the heat of the oven. 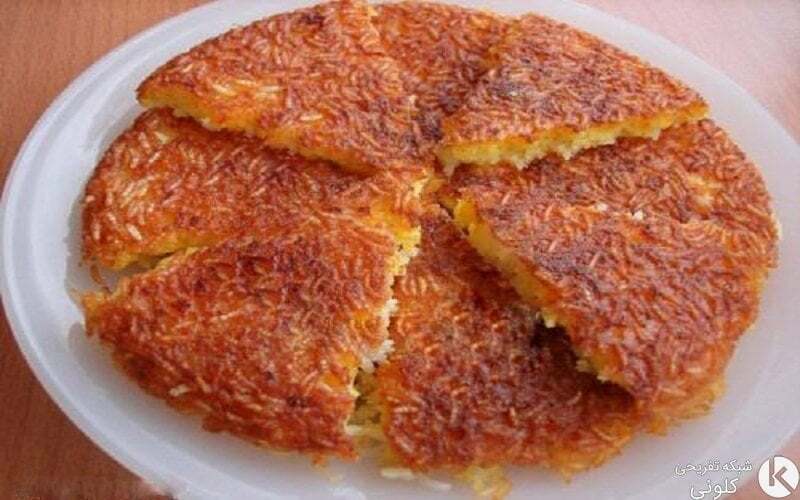 If Tahdig contains ingredients other than rice, it is called Tahchin. Tahdig is a delicious part of some Iranian foods which is popular both inside the country and in other parts of the world. * * * Tahdig is served on a separate plate at the table. The Tahdig which is taken out of the dish as one whole piece without being broken up is called “whole Tahdig.” However, Tahdig does not have to be a whole piece all the time. It could be served as large pieces as big as the palm of the hand. 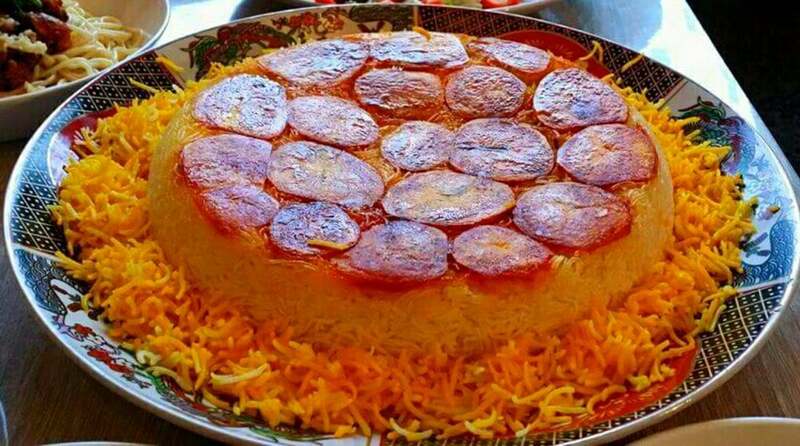 The best way to separate Tahdig from the bottom of the dish is to put the dish in cold water. Of course, the dish must be removed straight from the flame onto the cold water. Otherwise, it will be more difficult to take the Tahdig off the bottom of the dish. In fact, Tahdig must become cold all of a sudden, not gradually. 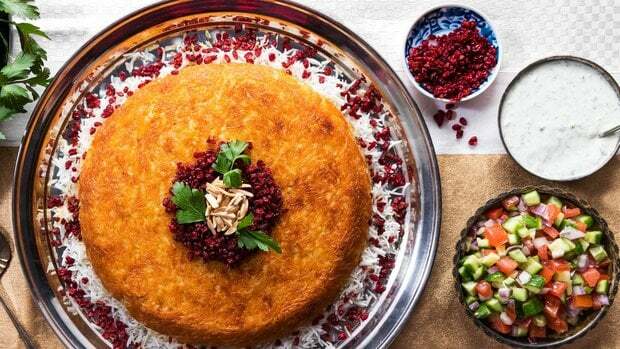 Another important point about Tahdig is that it must be taken out of the dish and served immediately; otherwise, it will get “old,” which means it will lose its pleasant taste. The New York Times publishes the recipe for a certain food every Sunday. Once, it published the recipe for the macaroni Tahdig. 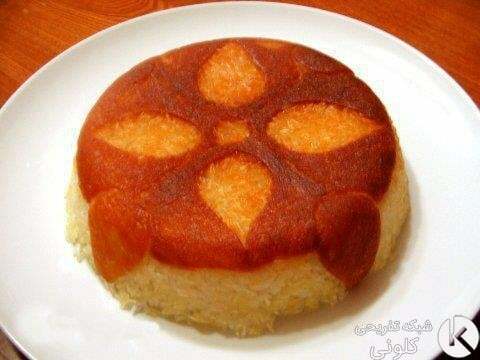 The newspaper explained that Tahdig is the same thing formed at the bottom of Iranian rice and is scorched and crispy. It is noteworthy that Tahdig is not made with rice only. 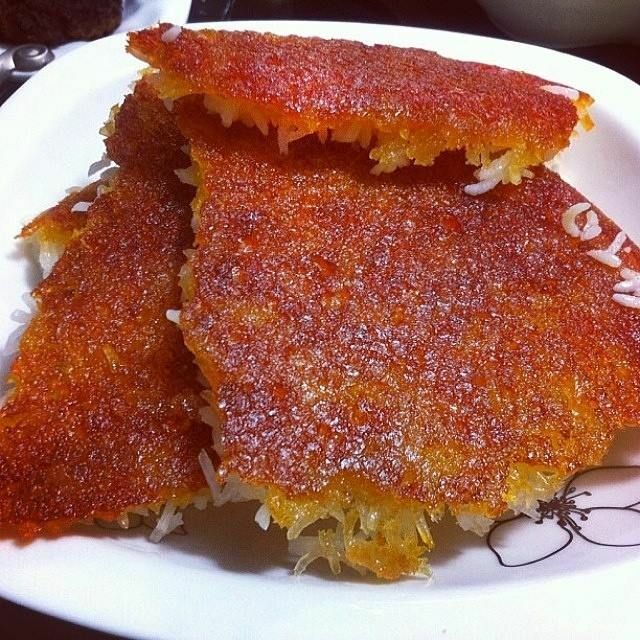 Tahdig also refers to the crispy part at the bottom of other foods in a dish such as macaroni, and can contain other ingredients such as bread and potatoes. 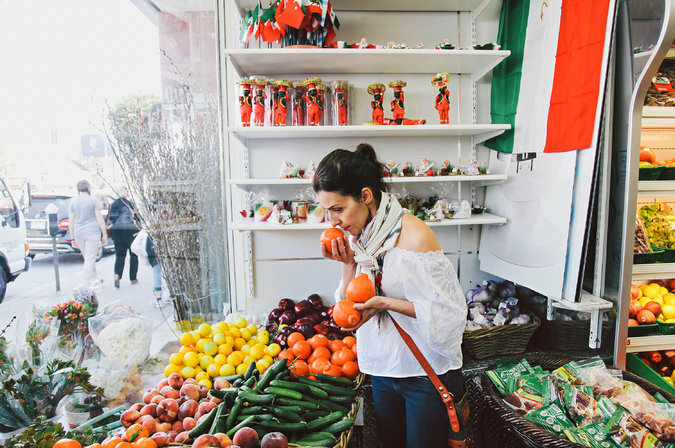 There are two stories regarding how Tahdig and Tahchin first came into being. It is said that servants would eat the leftovers of kings in kitchens after kings finished their meal. 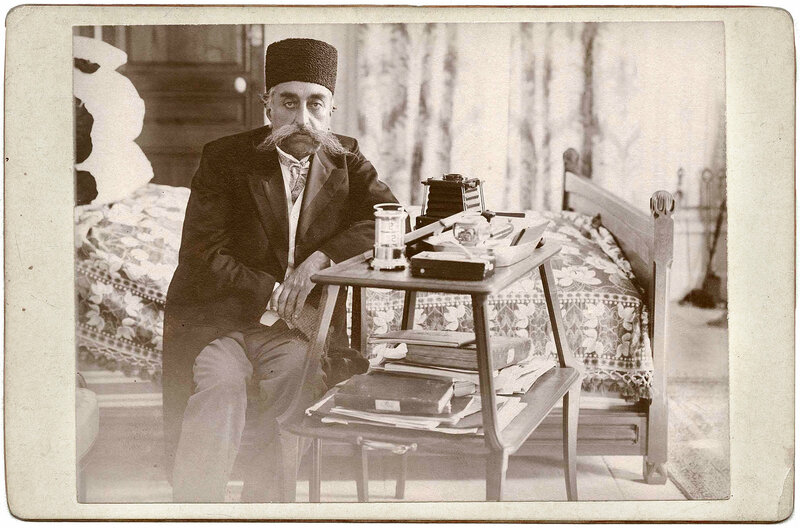 One day, servants at the court of the Persian king Naser al-Din Shah Qajar get into a quarrel over the food left over at the bottom of the dishes (Tahdig). The chief of the servants calls the chef and asks what all the fuss is about. Then, the king learns about the fight over food. He orders part of that Tahdig is sent to him. The king eats it and takes pleasure in the food. From then on, the king orders the bottom part of the food (Tahdig) to be sent to him first as an appetizer. And that is how Tahdig finds a special status! And this is how the Tahchin was created: One day, one of the chefs at a king’s court does not pay enough attention to the rice and chicken he was making. 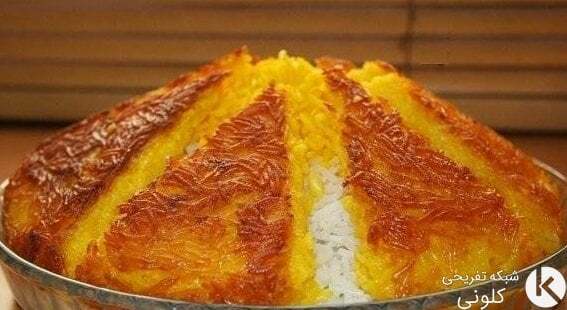 Hence, the rice becomes hard and turns into Tahdig. Fearing his life, the chef adds some saffron to make the food tasty. Then he adds chicken meat, yoghurt and eggs to Tahdig. The move not only saves the chef’s life, but also results in the creation of the first saffron-flavoured Tahchin. Tahdig or Tahchin; That’s the Question! 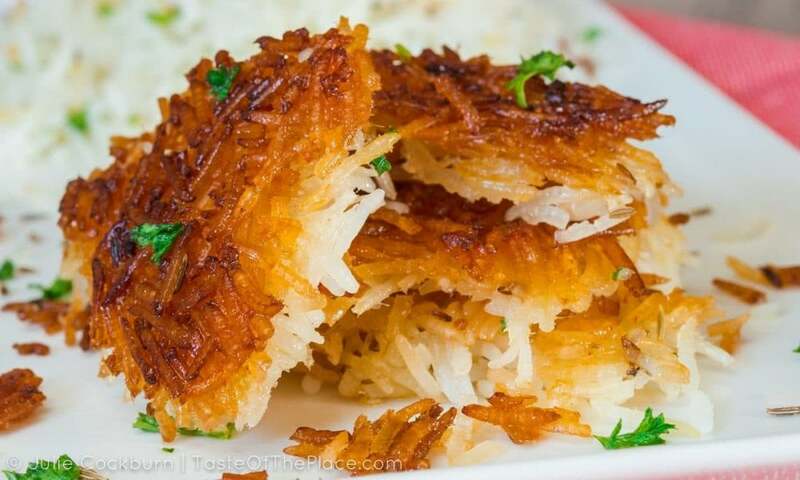 Tahdig is the scorched and hardened part of rice in a dish. The secret to its delicious taste is salt and oil! But if an ingredient is added to Tahdig, it is called Tahchin. 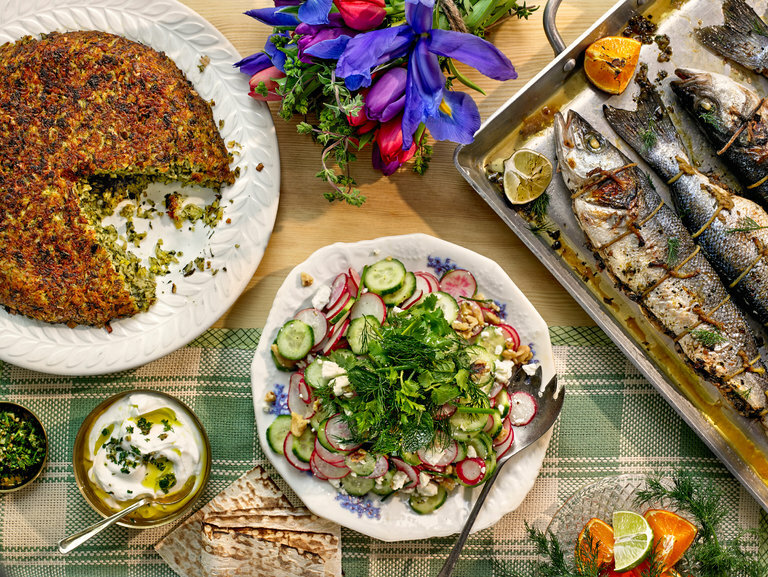 Henceforth, there are different types of Tahchin, namely the ones containing bread, potatoes, beet, and spinach, as well rice mixed with saffron, yoghurt, eggs, lettuce, dough, sesame and yoghurt, vine leaves, onions, aubergine and courgette. The interesting point about the Iranian Tahdig is that it seems only we Iranians can make it! Although recipe for making Tahdig is found on different English-language websites, the true art of making Tahdig lies with Iranians. Making good Tahdig requires great skill, which is only found in Iranian chefs! First, slice the potatoes. The slices should be completely thin and consistent. 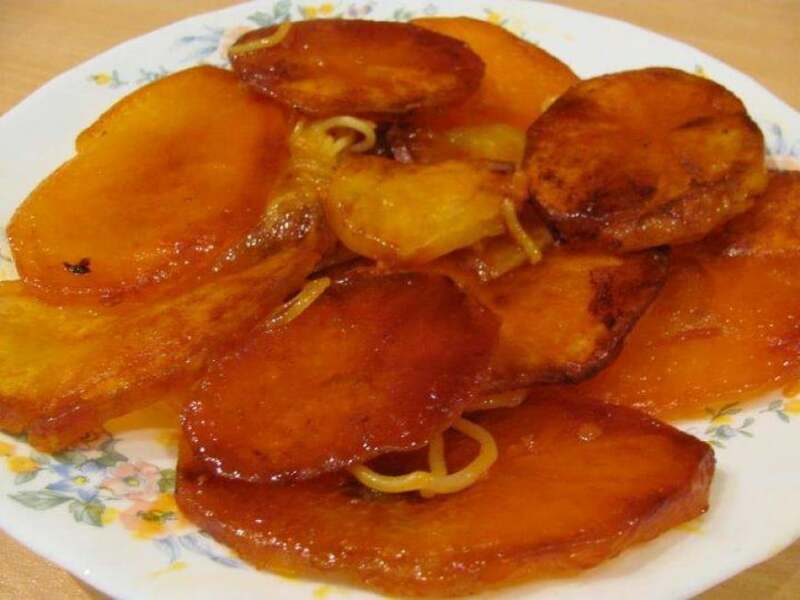 Then sprinkle ground saffron on the potato slices, add a teaspoonful of water to the potato and allow the water to be mixed well with the saffron and slices. Pour the oil onto the bottom of the casserole and leave it on the flame for a few minutes to get hot. Then turn off the heat and lay the potato slices on the bottom and the inside wall of the casserole. Sprinkle some salt onto the potato slices. Turn on the flame and heat the potato slices at medium temperature for around five minutes. Then add steamed rice or macaroni and put on the casserole lid. After the food is cooked through, turn off the flame and wait a little until the potato Tahdig comes off the bottom of the casserole. You may put the casserole in cold water first to speed up work and make sure the Tahdig will come off all at once when you hold the casserole upside down. 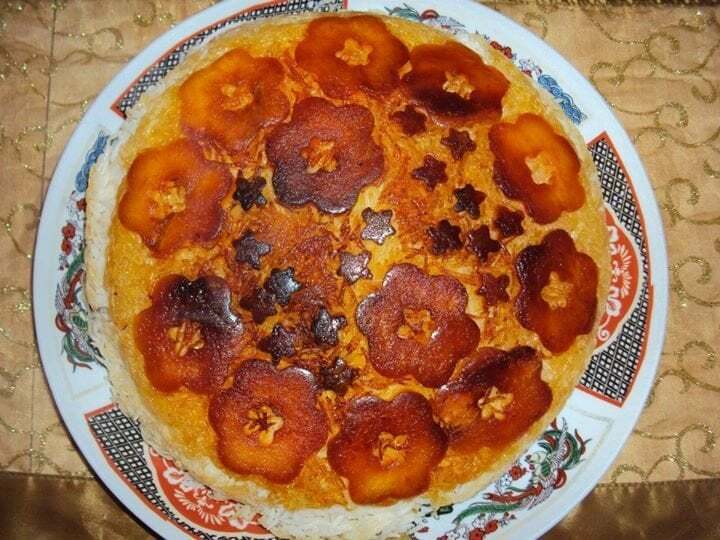 The Tahdig could be served with different types of pilaf or macaroni and served along with the entrée.